Bernardi’s skilled staff excels at combining quality and service with personalized attention and our on time delivery. If you have been in an accident, collision, or fender bender, we can take on all the difficult tasks, from dealing with insurance companies to arranging a rental car. Let us handle it, so you can have piece of mind. We have great reviews on Angie’s List, Yelp, and we are A+ on BBB.org. 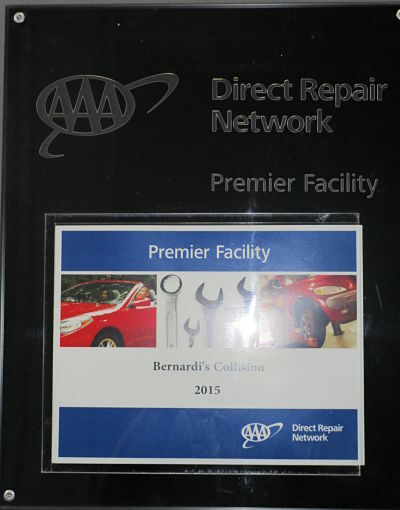 In addition to that, we are one of only a select few companies that are part of the prestigious AAA Direct Repair PREMIERE Network.